Israel is the state, where many nations live. And if you visit it, you should always remember, that you are in the Near East, in the place, where our civilization was born. And like thousands years ago, there are many interesting places here, that you will never find in another part of the planet. 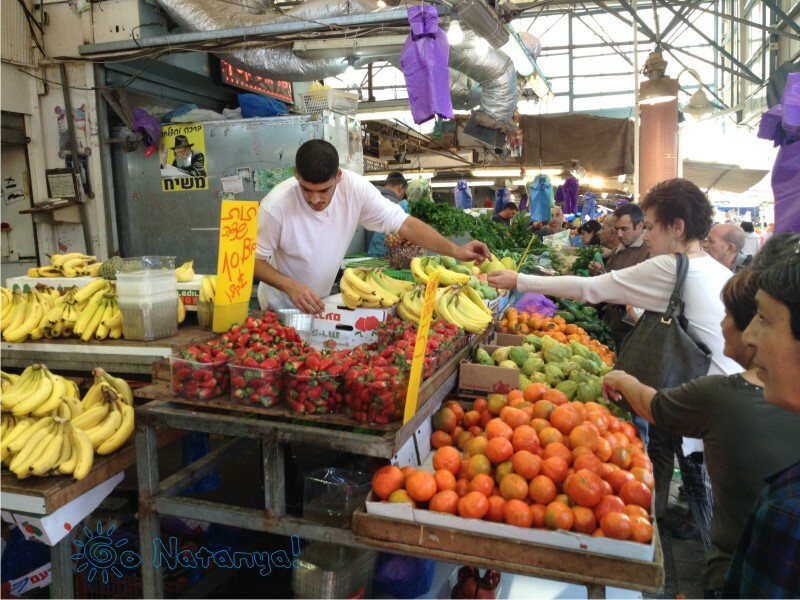 We can recommend you to visit one of these places – Netanya’s city market. This place looks like a market from eastern fairy tales. Did you ever read “1001 nights”? Or, may be you saw an “Aladdin” cartoon? So, this market is like you can see there. 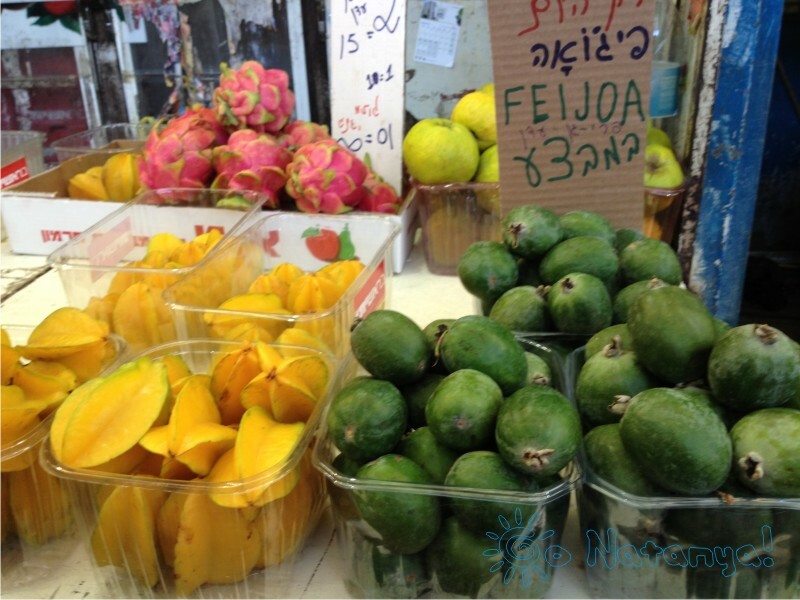 It is so popular, that it became a part of tourist’s program in Netanya. It’s part of all sights in Netanya, like old sycamore, or “Wings”, or “Kikar haAtzmaut”. What is so unusual here? Firstly, it’s a grocery market. Yes, it’s just a grocery market, but not like in your Quebek, or in Texas! It’s Near East grocery market. It means, that this place is very noisy, dirty, stinky, but fantastically charming! This is the place, where everyone and everything is always in move. Secondly, it’s a place, where everything is mixed. 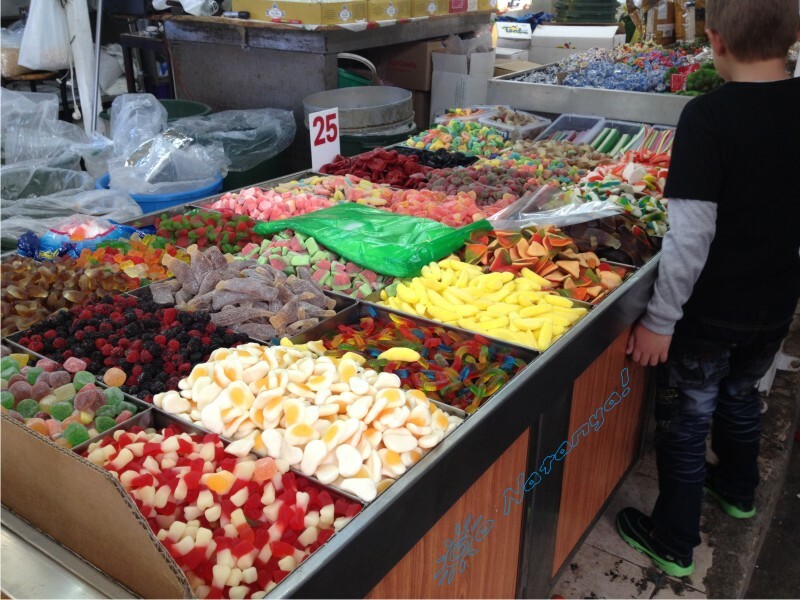 Here you can buy fresh fruits, and one meter further, – please, you can taste candies. You can find fish on the next bar, and immediately after it, – bread, or berries! That’s why all smells here are in mix too! Thirdly, you can taste everything, and sellers will always help you, if you want. Do you want to taste apples? No problem! You should just ask. Now, do you want to taste strawberry? Please, – take it and taste. 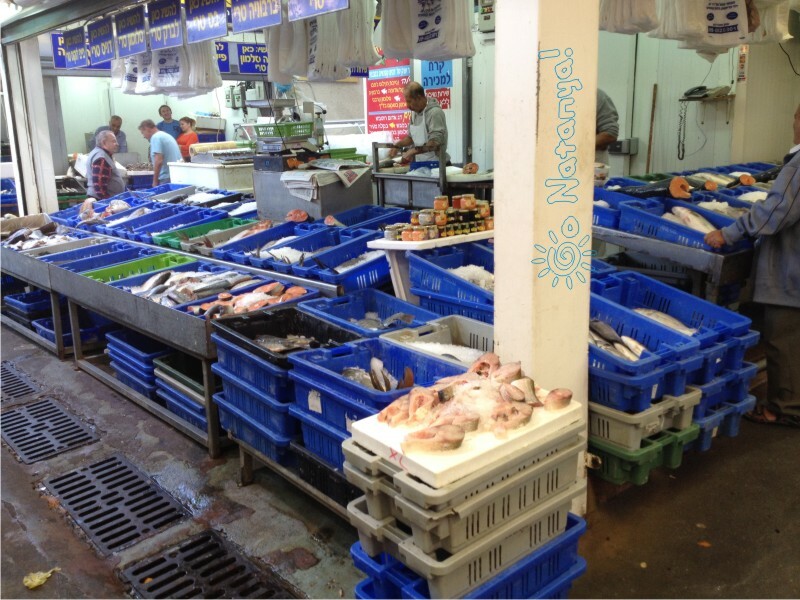 You can ask to taste even fresh sea fish, if you like it! Fourthly, there’s always some kind of a game here, between seller and buyers. If you buy something twice or more in one place, the seller will recognize you next time, and will greet you, as if you are his best friend. If he knew, that last time you bought something in another bar, he would show you, how sad he could be. Certainly, this time, he will give you the best price on the market, and present you three-four “potatos more free”. And of course, it’s just a game, but it’s always very pleasant for buyers. 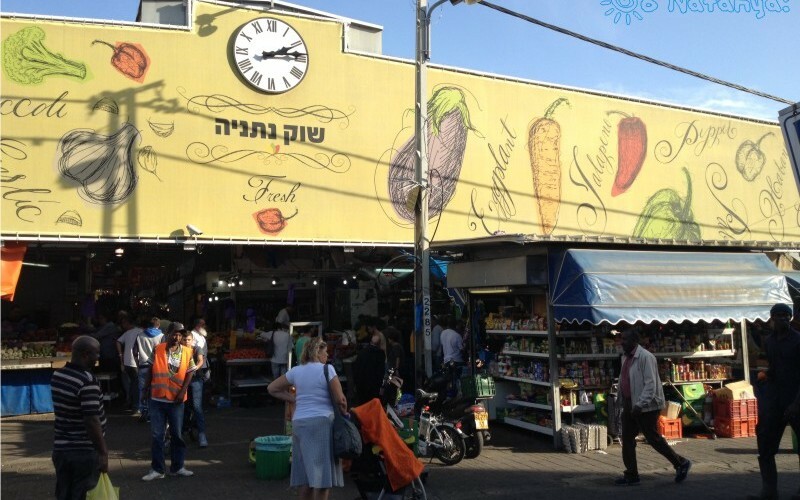 Fifthly, city market in Netanya is the place, where sellers don’t deceive buyers. It means, that they almost never try to give you less product for full money. Sellers know, how to sell more without “cheats”. For example, if you try to buy apples, seller will give you more, that you asked him. But, “for apologizes”, he will give you discount, and something else, “for free”. And you will understand that “the present” was not “free” only at home, when you calculate all expenses. You paid for this present almost full price! But, when you talk with a seller, everything looks perfect and “free”. 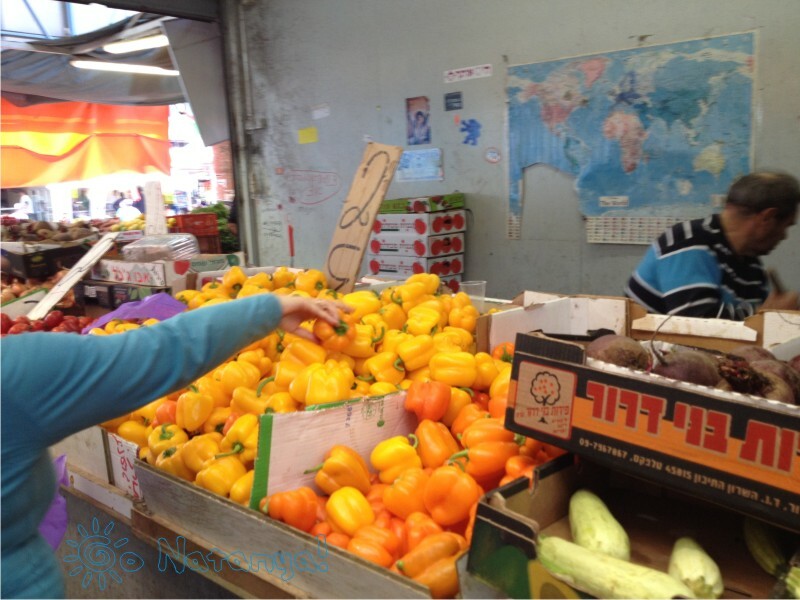 Sixthly, almost all sellers in the market speak Hebrew, Russian, English and French. They can understand what you want, and what you are talking about. But when the talk starts about money, they can understand correctly only Hebrew. And the last. If you want to buy everything with a BIG discount, you should visit the market in the Friday afternoon. In the Friday evening Shabbat starts – the day, when nobody works in Israel. That’s why all sellers try to sell their goods, before they will be spoiled. At this time, you can buy fruits, or berries or meat much cheaper, than in an usual day.